Today's abit of a light food picture day. We left BLT just before lunch to get some food at Disney springs, do abit of shopping and the head to Hollywood studios. 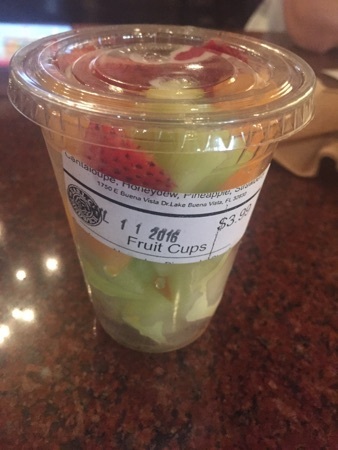 We went back to the earl of sandwich where we ordered DD the fruit cup which had 2 types of melon and strawberries in. All very fresh and tasty. This was $3.99. We also got 3 holiday turkey sandwiches between the 3 of us which DH and I ate most of as DD was more interested in her fruit pot. These were $6.99 each and were as delicious as usual. Love these sandwiches! 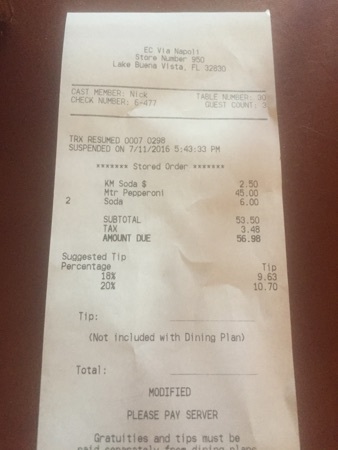 We also got a large Coke to go with this to share, we used our DVC discount and this came to $27.27. I know it's not food but I love it! While at Disney springs I bought a cogsworth clock, it was the one thing I really wanted to get on this trip. After abit of shopping we spent an hour or so at Hollywood studios and then headed to Epcot for our 5.00pm ADR at via Napoli. We got the mezzo metro pepperoni pizza between the 3 of us with a Coke each. This was absolutely delicious. The base is really thin proper Italian pizza base and is slightly charred in places from the hot ovens. This was $45. 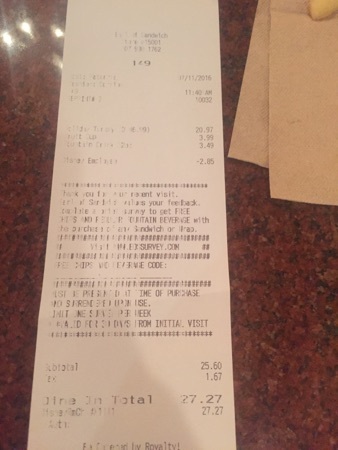 Our bill came to $56.98 and we were all stuffed and couldn't face dessert at that point. 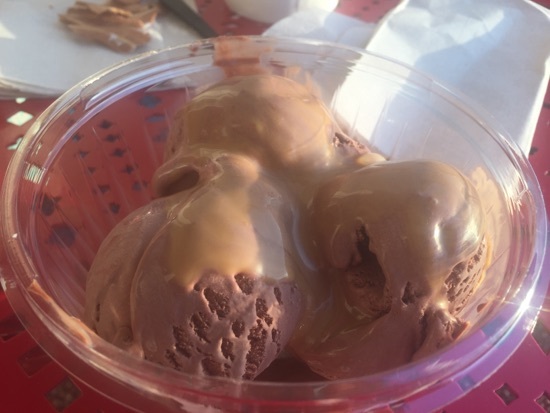 After riding the frozen ride again and visiting a few of the countries round the world showcase we headed down the boardwalk again to ample hills creamery. 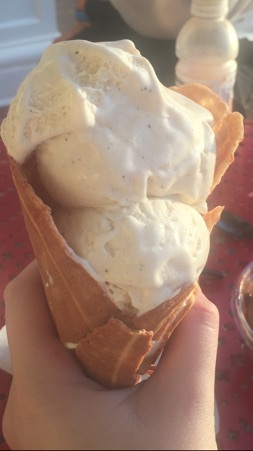 DD got a single scoop vanilla waffle cone, this was huge! As you can see there is way more than one scoop on there! This was $6.99. I got another sundae, this time I choose the ooey gooey butter cake with dark chocolate ice cream and salted caramel topping, again I decided the squirty cream. This was sooooo good! Quite expensive at $8.49 but enough to for 2 to share. New Photo Added by missdopey - 12 Jul 16 3:03 AM. That pizza looks amazing! 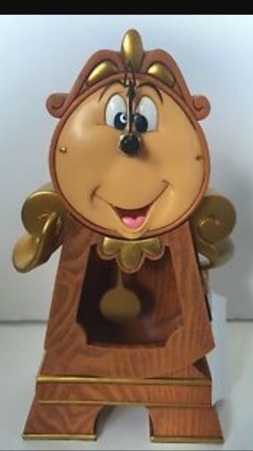 How much are the cogsworth clocks and are they readily available to buy? 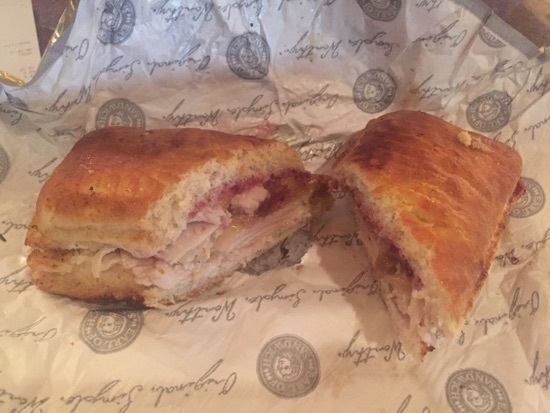 Love that sandwich from EoS and your flatbread looks delicious. Love clogsworth. It looks quite large! I love your Cogsworth clock! 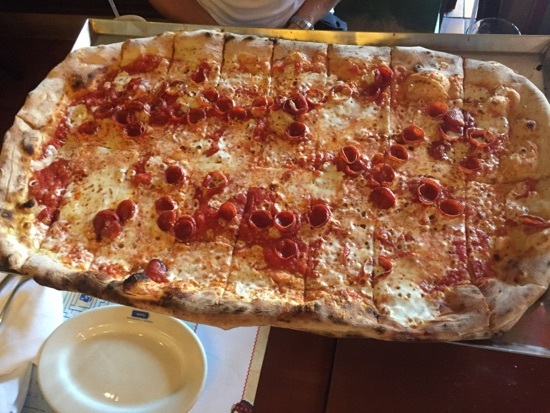 It is adorable  That pizza is massive! It also looks delicious - another yummy day! Cogsworth was $80. There available in quite a few different shops, when I picked mine up yesterday they had 15 on display in the world of Disney at Disney springs but they gave me a boxed one from behind the counter.